"I am convinced that the true collector does not acquire objects of art for himself alone. His is no selfish drive or desire to have and hold a painting, a sculpture, or a fine example of antique furniture so that only he may see and enjoy it. Appreciating the beauty of the object, he is willing and even eager to have others share his pleasure." -J. Paul Getty, The Joys of Collecting, 1965 Rooted in a passion for the Italian Renaissance as well as Dutch and Flemish Baroque works, the original collection of J. Paul Getty (1892-1976) has been transformed over four decades to include seminal pieces by celebrated masters such as Masaccio, Titian, Parmigianino, Cranach, El Greco, Rubens, van Dyck, Rembrandt, Poussin, Canaletto, Fragonard, Turner, Manet, Degas, Renoir, Monet, van Gogh, Cezanne, and Ensor. 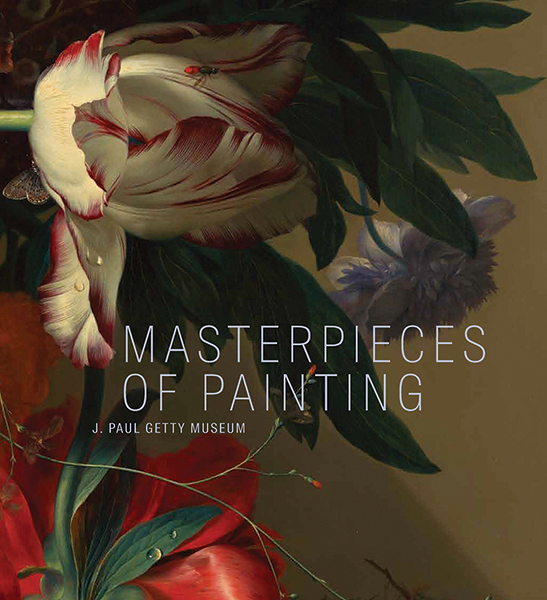 Masterpiece Paintings in the J. Paul Getty Museum surveys more than one hundred of the most exquisite and significant paintings displayed in the museum's famed, daylight-suffused galleries. Vibrant full-colour illustrations and engaging descriptions of these masterworks reveal their fascinating histories and cultural, social, and religious meanings. Sure to enchant and edify all art lovers, this book is a spellbinding tour through the history of Western painting. Davide Gasparatto is senior curator in the Department of Paintings at the J. Paul Getty Museum, where Scott Allan is associate curator and Anne Woollett is curator. Peter Bjoern Kerber is curator at the Dulwich Picture Gallery in London, United Kingdom.